Beneath The Blue Sky: An Approach: Before I Go to Sleep, I Want My Moto E !!! Before I Go to Sleep, I Want My Moto E !!! Let's not forget, who is the dad? Martin Cooper of Motorola made the first publicized handheld mobile phone a prototype on April 4, 1973. "Yes, I want to see my friend 'moto e' before I go to sleep every night. The cutest mobile device in the earth available so far. My first love with mobile is not an iPhone. It is my friendly handset moto e."
This was my very first expression when I put my hands on this smart device. I am a mad gadget user. I love to use latest tablets and smart mobile devices to see the next level. Moto e is the beauty. My iPhone 5s, Lumia 930, Samsung Galaxy Alpha look nothing compare to my moto e.
The surprising fact about 'moto e' is the RAM and processor speed. I didn't believe my hands when I was first playing my favorite online mobile game app using moto e, "Marvel's Contest of Champions!!!" It was a powerful, remarkable experience when I smoothly won three contests in a row without any application error or RAM or processor failure. The same experience I don't have with the similar mobile devices. Now I can play my favorite games from anywhere. Five reasons why I go to "moto e"? 2. Both side cameras, particularly useful for seeing me on screen before I take my selfies. 3. Size: Its handy in size, big enough touch screen. 4. Dual SIM, to keep me connected with my old friends who don't have my new number after I shifted from New Delhi to Bangalore. 5. Motorola is the father of mobile technology. There is no such experience to match the boss. 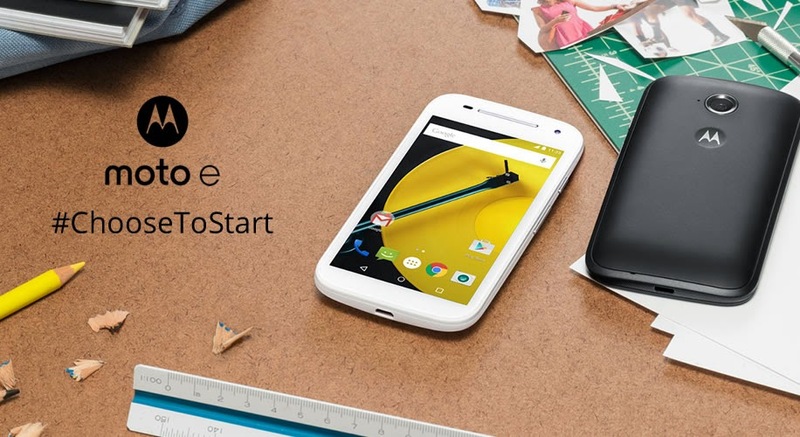 Here is the related hashtag to find out why users are choosing new "moto e"
I would like to suggest the readers, please visit: http://www.startwithmotoe.com/ & know more about Moto E.
Lookup for getting together with dreams! Ups and downs are there, lookup & StartANewLife?